In 2018, the MHS Annual Appeal includes a new Future Fund. Launched late last year, donations are unrestricted, enabling us to respond to the school’s most pressing needs. The fund will also help us build our financial stability. Through our Scholarship Trust we support students (past and present) and current staff.All students should have the opportunity to benefit from Melbourne High School’s all-encompassing education, regardless of background or circumstance. Most of our classrooms have not been renovated for decades and desperately need to be modernised to meet the needs of contemporary educational programs. We need your help to throw out the chalk duster and move into the digital age. We have set a target of upgrading 40 classrooms by our centenary in 2027. Last year we renovated two classrooms. With your support we plan to upgrade three classrooms in 2018. The Melbourne High School Foundation Health Promotion Trust focuses on programs that support the physical and emotional wellbeing of the school’s staff and students. 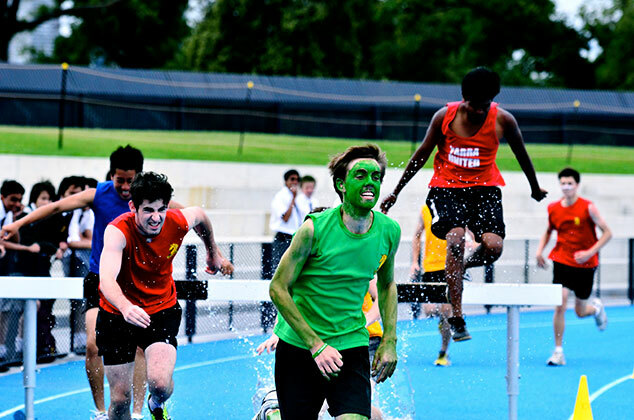 The funds raised in 2017 enabled the school to run wellbeing programs for staff and students identified as requiring support. The 10-week programs addressed exercise, sleep, nutrition, stress, mobility and cardiovascular health. The Arts and Cultural Trust raises funds to promote and support the arts within the school, the City of Stonnington and the wider community. Areas of interest are music, media and theatre studies, studio arts, visual communication design, and Aboriginal and cultural heritage. Home Terms & Conditions Copyright©2018 All Rights Reserved.